HomeParadise BlogUncategorizedWhat Are Dental Implants? An implant is a titanium post or rod, almost like a tooth root, that is surgically implanted into the jaw bone. Once it’s implanted, you won’t be able to see or feel it. By doing this, a dentist can implant a replacement tooth or a bridge. They are the closest thing you can get to having natural and healthy teeth. They allow you to feel confident in your smile and show it off. One of the major benefits of getting an implant is that it won’t come loose like dentures. They also don’t need to be anchored, or attached to other teeth. This also plays a major benefit when you are eating or speaking. They are very durable, and will last you many years without having to worry about replacing them, with proper care they can even last you a lifetime. Dental implants can also improve your overall oral health. Dental implants are the only dental procedure that tries to preserve natural bone and will help stimulate bone growth. 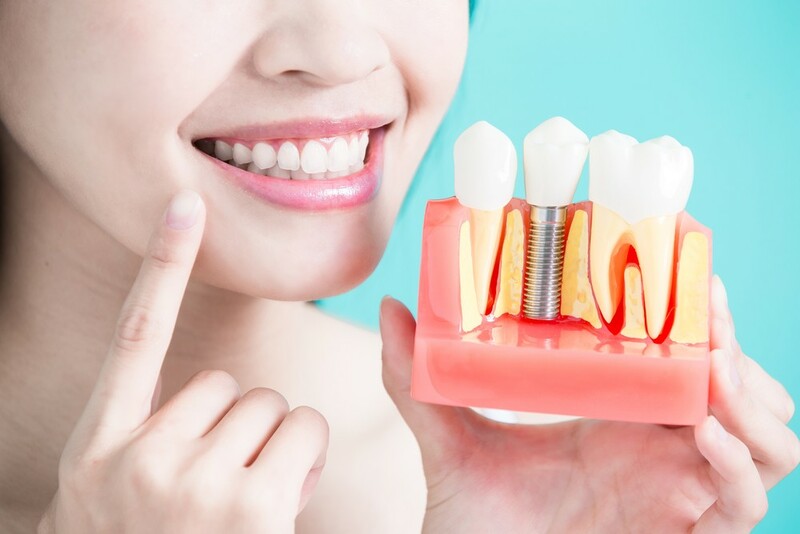 If you are considering having dental implants, you will need to make sure you have you have healthy gums as well as have enough bone to support the implant. If your bone is too thin or too weak you may need to get a bone graft in order to support the implant. If you would like to have a consultation with one of our dentists at Paradise Dental or have any questions about an implant call us at (781) 780-2246 or contact us on our website. We are happy to talk to you and help you make the best decision for your mouth and oral health! You can learn more about our dental implants here.